The only thing better than being warm and comfortable on days where you are on the go from morning until night in cold weather, is looking stylish while you do it! Originally, I was looking for a faux fur coat for winter, but then this neutral shaggy number caught my eye and it was perfect for the look I was going for. This past Wednesday was a full day for me and I threw on this outfit before heading out the door. I had to dust off my leopard booties that were on major repeat last winter because I've neglected to wear them due to a few other pairs that had been justifiably purchased for this winter...uhmmm. Sorry leopard booties, I had forgotten how much I adore you. I just might have to bust them out again for a night out this weekend. We have a low key weekend planned; and as always, I am looking forward to it along with a little warmer weather here in Houston. LOVE these booties! They are so unique. You looked adorable the other day, as always. I love your style Charity. Mainly because it feels so...accessible. Like I could really replicate it. It's not fussy either. I love that. 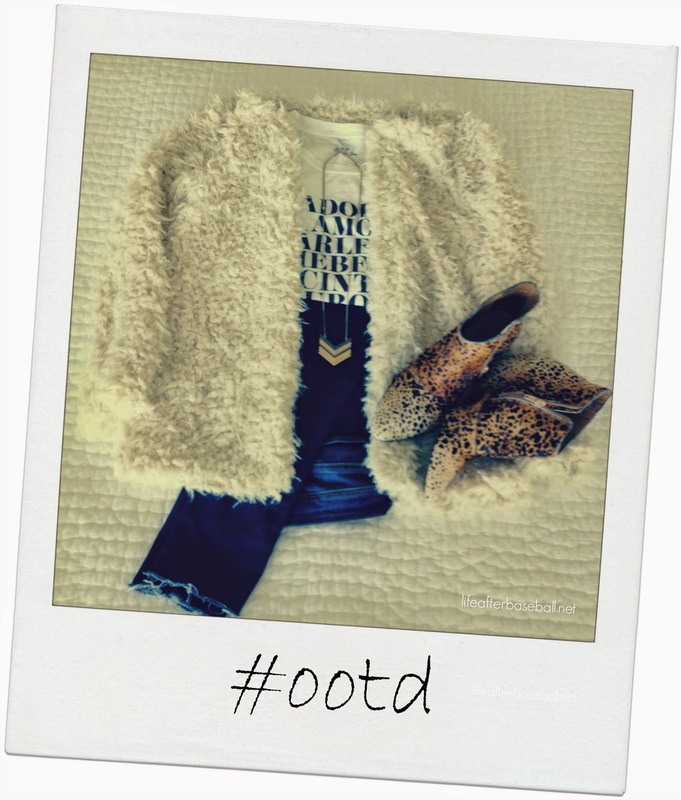 Super cute ootd! what a fun coat to have in your wardrobe! !